A free photography exhibition in Dalston makes unlikely stars of the “everyday heroes” from Hackney Council who keep the borough ticking over. 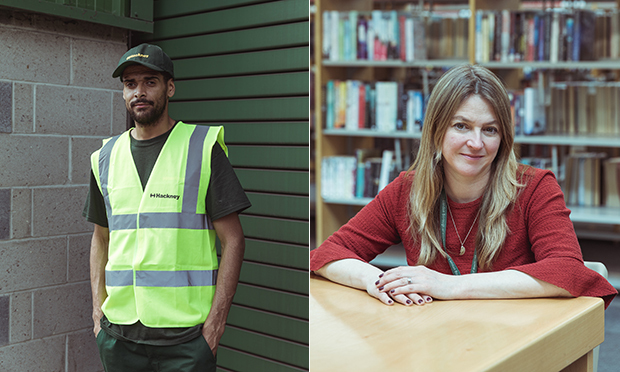 The show, which opens on 23 July at Dalston CLR James Library, features portraits of 16 public servants – from street cleaners and librarians to park keepers and service centre staff. Photographer Andy Donohoe, who has lived in Hackney for five years, came up with the idea while cycling around the borough looking for inspiration. He said: “These photographs show the people who work tirelessly to keep Hackney running smoothly. “Taken over a period of about a year, they document the unsung heroes of the borough whose efforts might go by unnoticed. One of Donohoe’s subjects, waste disposal worker Gary Ephriam, said: “If we stopped working, Hackney would be in trouble. Town Hall community chief Cllr Jon Burke said: “These photographs offer a fascinating insight into the lives of Hackney’s public servants and show the essential contribution made by the working class to the functioning of London. 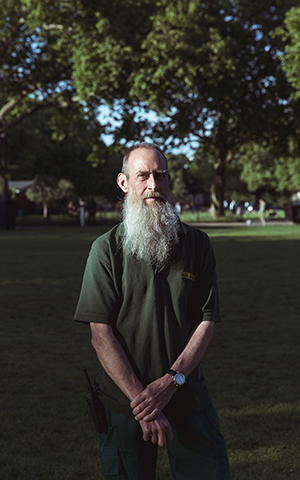 “The people who clean our streets, work in our libraries and museum, keep our parks green and clean, and provide a whole range of front line services are Hackney’s everyday heroes. The display will be unveiled at 10am on Monday 23 July at Dalston CLR James Library, and closes on 1 October.